My sister prepared this delicacy for me when I visited last month. Her version uses apples instead of jicama. I love the sweet and tangy taste of the shrimp paste dressing combined with the varied texture of fruits, vegetables, and Chinese crullers. I rarely eat salad, but this is one salad I will eat often if I can afford the time to prepare it. Mix the dressing ingredients in a large bowl with the back of a wooden spoon. 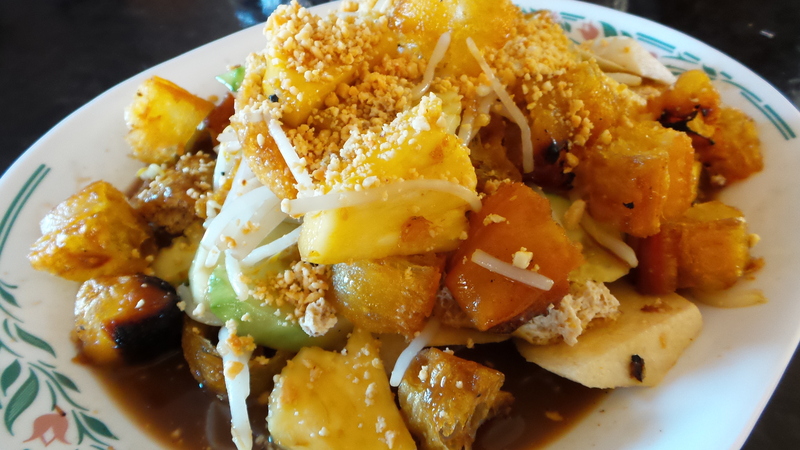 Toss remaining ingredients except Chinese crullers, fried bean curd, and peanuts with dressing. Stir in Chinese crullers and fried bean curd. 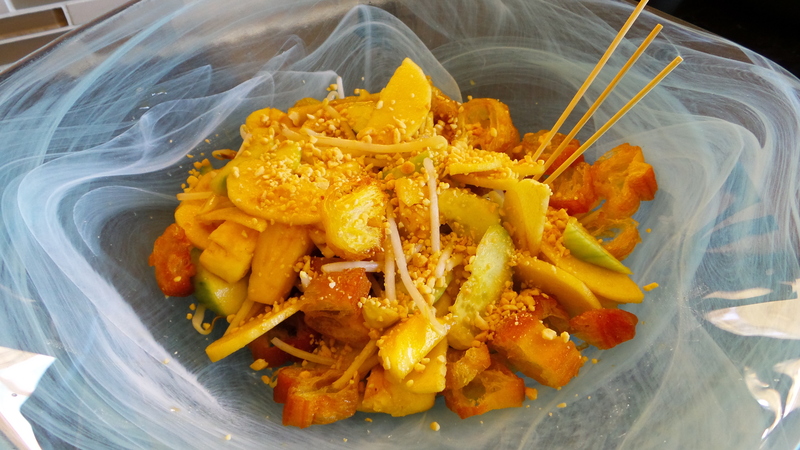 Bulk of my preparation time goes into picking the roots off the beansprouts and cutting fresh pineapple. I will not compromise by just throwing beansprouts out of the packaging into the dressing or using canned pineapples. Prepare multiple servings of the dressing and store in the refrigerator so that they are ready to use the next time. Get roasted peanuts by the pound. Grind them up in the blender and store in the refrigerator. Ground peanuts is a key ingredient in many Singaporean desserts and snacks. Keep it handy.